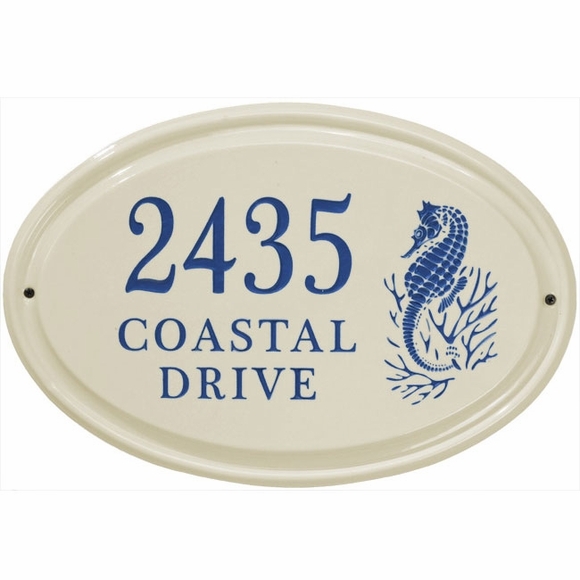 Personalized Ceramic Address Plaque - - wall plaque contains three lines of personalization. High-fired vitrified ceramic withstands outdoor elements. Made in USA. Oval shape plaque includes a friendly sea horse. Ceramic plaque with Sea Life theme is perfect for a coastal address.